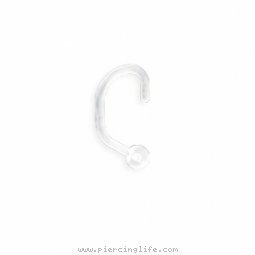 urlname = Clear nose screw / nostril piercing retainer with ball, 18 ga. Body piercing labret jewelry. Jewelry, labret, body, piercing jewellry..